Recently, we were sent some smartwater and some Powerade Zero to review. I've always been big into Powerade and Gatorade, but I'm trying to get better with drinking water. Luckily, I've taught my children better than I do, because my daughter drinks mostly water and my son gets his daily share too. Did you know that a male aged 9-13 should drink 8 cups of water a day? And girls aged 9-13 should have 7 cups a day? Pretty interesting huh? Do you know what the symptoms of hydration are? I do because a job I had about 7 years ago was really big into Safety and we learned about Heat Stress, Heat Exhaustion, and more. I was also CPR and First Aid trained there so I learned this before... But I want to share it with you. Did you also know that food provides an additional 19%-25% of daily total water intake? Smartwater is a vapor-distilled, electrolyte-enhanced water that has an incredibly pure, crisp taste. smartwater is made by vapor distillation, the purification process that simulates the way water is cleansed in nature – the hydrologic cycle. our process separates and purifies the water molecules to their most pristine state. we then add a unique and purposeful combination of electrolytes (calcium, magnesium and potassium). Smartwater just entered a partnership with Susan G Komen for the Cure to support the foundation’s breast cancer research and also create specially marked bottles raising awareness for the cause. I can't tell you how many times I have used the restroom and I had dark urine. I have tried to get better at drinking water because of this. 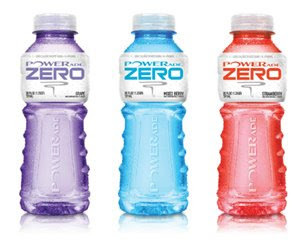 Powerade is a great way to stay hydrated, without the extra calories! And, smartwater is a great-tasting water! We all enjoyed both of these zero-calorie drinks, and I'm sure your family will too! I love smart water! I am not, however, a big fan of any of the powerade/ gatorade family of drinks. I'm like the guru on water because I drink at least 16 oz a day(usually more). Because of all the therapies and whatnot I do, I'm killing off a lot of stuff in my body which can only exit one way...Hence all that water!